How does the South-to-North Water Diversion Project improve our lives? These are stories about the people who quietly and diligently worked on the frontlines of the South-to-North Water Diversion Project, explorations of the transformation of the Hutuo River from a source of sand pollution to an ecological park, and journeys through the changes of ordinary people's lives along the route brought about by the improved water quality. 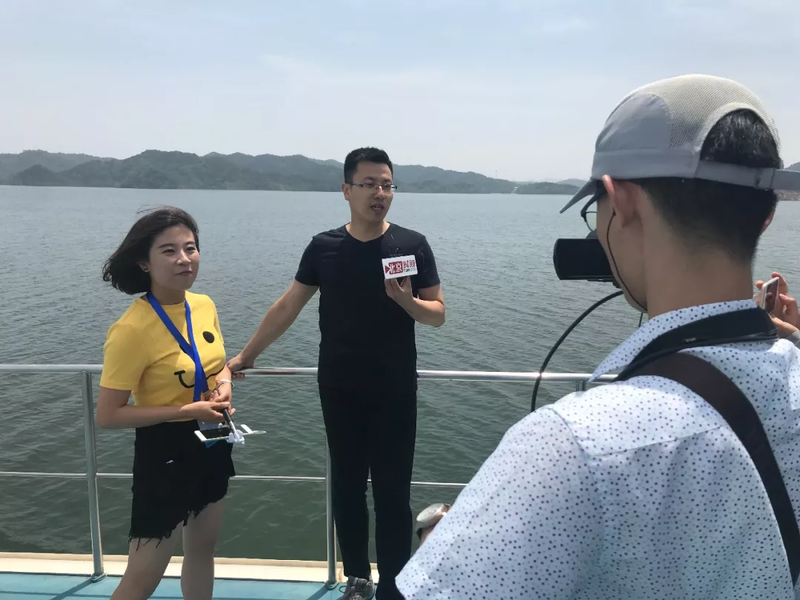 From May 28 to June 5, a group of journalists travelled more than 1,000 kilometers across Henan province, Hebei province, Tianjin and Beijing to visit dams, workshops, ecological parks and homes, and told an array of stories about the South-to-North Water Diversion Project. Behind the formal opening of the central route of the South-to-North Water Diversion Project is the painstaking struggle of hundreds of thousands of workers and engineers, who put in more than 4,000 days and nights for the project. 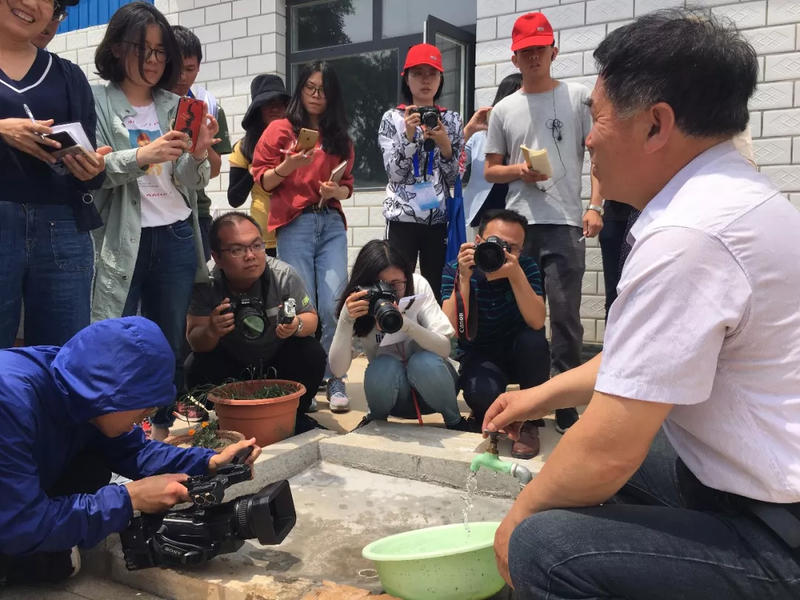 Appearing before the gathering journalists, patrol guard Liu Siping and water quality monitor Han Xiaodong were representatives of those who gave years of hard work to the South-to-North Water Diversion Project. Besides working as a patrol guard, Liu was also a publicity specialist promoting safety knowledge around the nearby communities. He told the journalists about a school lecture he gave about safety around the water channels. "I asked the class what to do if they see a classmate climbing up the channel fences," he recalled. "One student shouted, 'Call 110! Or call 119!' I said 'No.' Then a little girl said she would pull him down quickly, and I said, 'Yes, that's the right thing to do!'" There are a thousand patrol guards like Liu used to be. "The spirit of those who worked on the water diversion project is touching," said Liu Wenjing, a reporter from k168.cn. "They truly serve our people, and it's their unremitting efforts that guard our happiness." Another reporter, Wang Chengyang from ynet.com, penned a story about a quality control inspector and the first International Children's Day she spent with her five-year-old son. "At the age of five, Cui Jinjia, attending kindergarten, finally got his wish. Following his mother Han Xiaodong, the little boy took a close look at the channel of the South-to-North Water Diversion Project. This is a wish he has been longing for a long time. Han had not taken a regular weekend break or holiday since she started working, but she had no complaints. When she talks about her job, you can feel that she's conveying the sense of pride. This is probably the spirit of love for her job that she devoted whole heartedly to!" A green corridor, a sea of flowers, grass growing tall and nightingales flying in the air, clear water and green shores, fish swimming in the shallows of the water, green and livable environment … What changes have the South-to-North Water Diversion Project brought to the ecology, environment and development of cities along the route? These vivid descriptions written by the visiting journalists made the answers readily available. The Hutuo River is sparkling in early June, with birds singing and flowers blooming along the banks, making a vivid and beautiful scene. When Liu Zhenke from Ching.org.cn came to the Hutuo River Ecological Park, she could not imagine that the river was once a major source of sand and dust pollution in northern Shijiazhuang. "Since the completion of the central route of the South-to-North Water Diversion Project, the Hutuo River has been purified more than 10 times and the total amount of water replenished is nearly 30 million cubic meters. At present, it has become an important water source for the Hutuo River," Liu said emotionally. The optimization of a city's ecology is bound to enhance its happiness index, and only in this way can the city attract more talented people to jointly build a better home. Beijing is a megalopolis with extreme water shortage. Three years ago, water diverted from the Danjiangkou Reservoir travelled 1,276 kilometers to eventually reach Beijing, directly benefiting more than 11 million people. Wang Yupei from chinadaily.com.cn said after closely observing the Miyun Reservoir, "Before water was diverted from the south, 'one out of three cups of water comes from the Miyun Reservoir' was the norm for Beijing's water supply. However, due to the sharp reduction of upstream water, Miyun Reservoir can no longer provide the amount of water as it used to. At this very moment, when you look at the vast pool of clear water in front of us, we truly understand the important role that water diverted from the south plays in the conservation and restoration of water resources." The shift of function from yesterday's water source to today's back-up reservoir saw to the improvement of people's livelihood. The benefits of the South-to-North Water Diversion Project are multifaceted, long-term and sustainable. "Making pickles with tap water, cars running not as fast as bicycles, cabbages and tomatoes are bound together for sale." The doggerel which was popular in Tianjin in the 1970s and 1980s reflects the troubles that caused by poor water quality to people's lives. Now, with the introduction of water from the south and the improvement of water quality, tens of thousands of people along the route of the South-to-North Water Diversion Project are enjoying the benefits from this grand project. 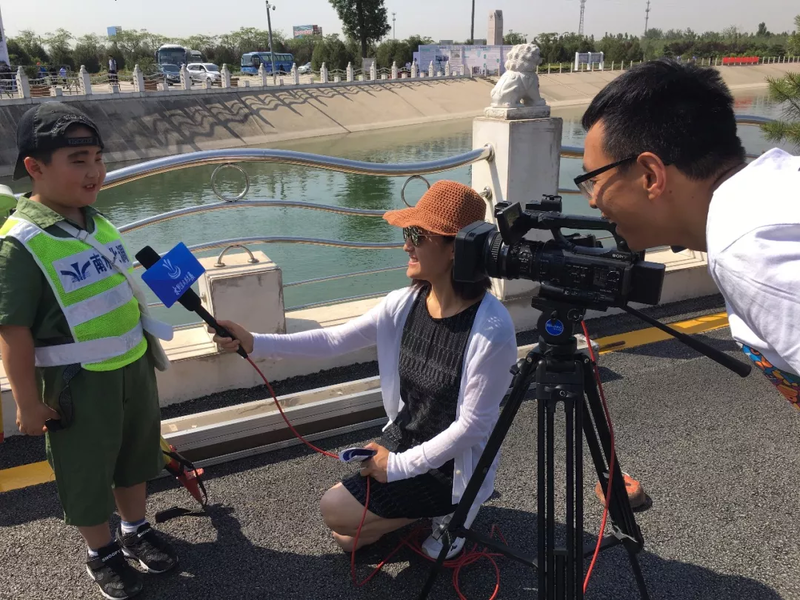 Cao Mengyuan from Chinanews.com had no idea before the interview that Tianjin, the big northern city, also suffered from poor water quality. "When I first came to Tianjin, the water I drank was slightly salty, and the lime scale in the kettle often fell down a lot. Cooked rice tasted bad, and when you wash your hair you always feel acerbic, even before you water the flowers, you need to filter the water before it can be used." At the home of Liu Lina, a 43-year-old resident in Tianjin, Cao heard about the impact of water quality problems on the family. "These issues were finally resolved in 2014. In December of that year, the South-to-North Water Diversion Project reached Tianjin, clear water stored in the Danjiangkou Reservoir was diverted to Tianjin." Cao wrote about the changes brought by the project to the Liu family in a report titled "Water from the south into Tianjin: Happiness brought about by clear water." Cao wrote that the water was getting clear, thus the cooked rice now tasted better, and taking a bathe was now convenient. The issues were practically solved, and the happiness of the people naturally increased. 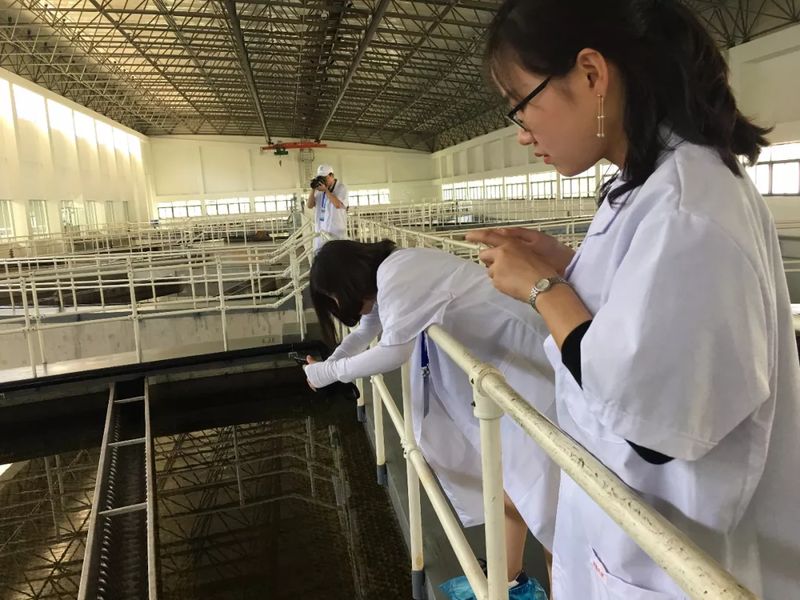 "They all said that the water quality has improved, washing and cooking are now more convenient and their life qualities have steadily improved," Li Zhengwei from gmw.cn noted in his household surveys and interviews with residents of Hebei province, Tianjin, Beijing, and other cities along the route of the water diversion project. The many changes brought about by the diversion of water from the south showed him the benefits to daily lives brought by the South-to-North Water Diversion Project. "The project has given a strong sense of gain and happiness to people," Li said. He noticed that interviewees cherished the good water they were now using, and they took care to conserve water. In addition to expressing gratitude for the country's strategic project, the residents also called on others to save water and let it become a habit in their daily lives, and eventually an inheritable virtue.